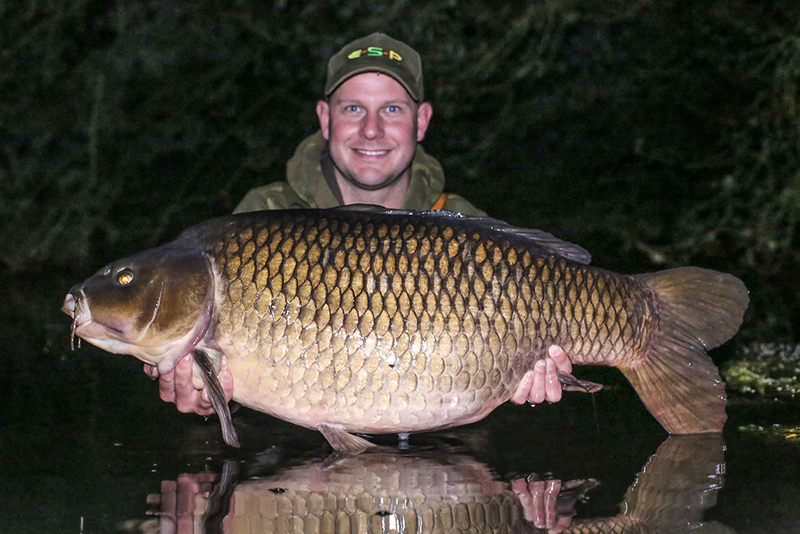 Home > Kev Hewitt’s overnighter 40lb common! It was bank holiday weekend and the weather looked bang on for a spot of carping. I had already arranged a family weekend and Monday afternoon I found my self at Slimbridge wetland Center feeding koi and common carp in one of the ponds. Then my phone rang and it was Bart, he had manage to wangle a very quick overnighter on Farriers and I couldn't resist joining him. A few hours later I found myself loading up the van and I met him down the lake at a little after 6pm. Bart had to be off for work at 6.15am but I have an extra couple of hours. For some reason we decided to fish the furthest walk possible and settled in two swims right next to each other. My swim was pretty weedy but there was a small channel in the weed leading out into the lake. I had a lead around and found no clear spots. I decided to just clip up at 50 yards and spent the next hour raking a spot with a castable Gardner weed rake. Most of the bottom was covered in dead Canadian but an hour later I had made a pretty decent clear spot on a soft silty bottom. The light was fading so I quickly dispatched a couple of ronnie rigs with size 6 cryogen curv shanx barbless hooks to the spot. 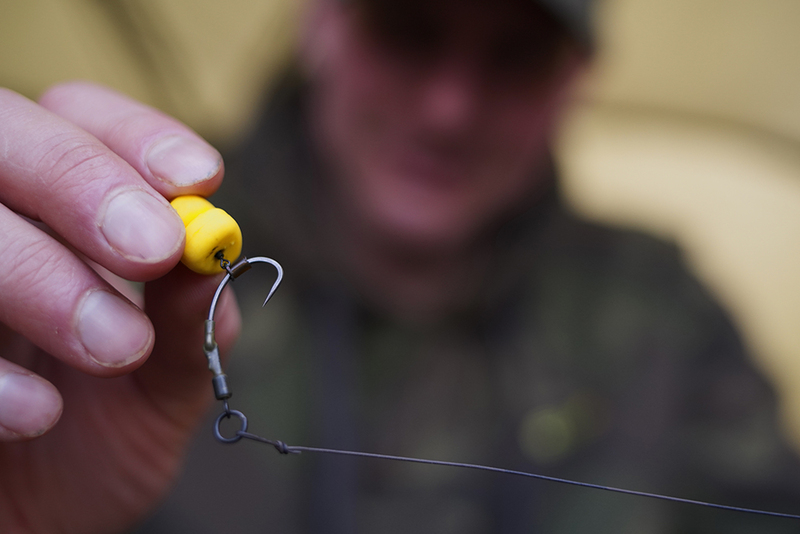 I had no option but to drop both rods on the same spot and fished both on 12mm Northern Special hookbaits which had received a light coating of Aquasweet a few days prior. 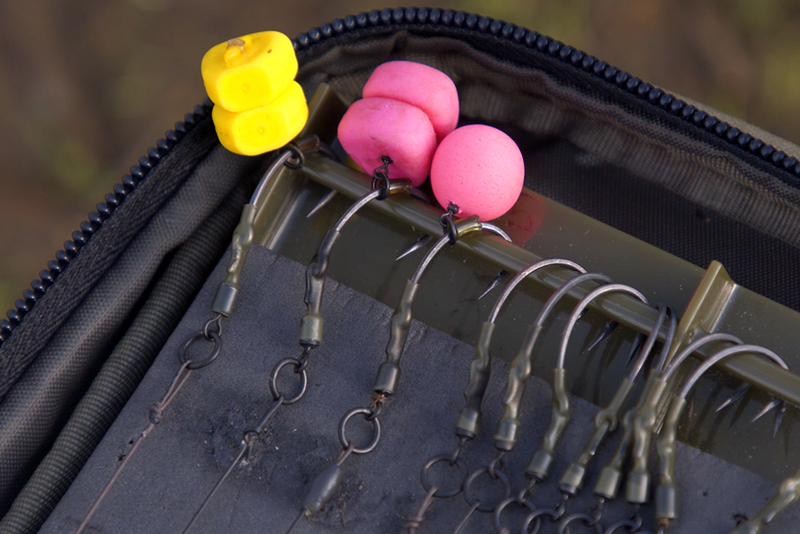 I always want my hookbait to be the most attractive item in the swim and this combo simply oozes visual and an irresistibly flavoursome combination. As it was a last minute decision to go I had not really prepped any bait so a couple of small tins of corn and some 10mm and 15mm shelf life boilies went into the bucket and I coated them in roasted nut extract. I normally like to coat my boilies 24 hours in advance to allow them to absorb the flavour and turn a little sticky. However on this occasion a quick coat of roasted nut extract meant that my mix offered a very quick leak off of flavour and attraction, exactly what was needed with less than 12 hours fishing ahead of me. Myself and Bart both went into the night fairly confident. After a few steaks had been devoured we retired to our beds at around 11pm. Neither of us could really sleep, it was such a quiet night whilst he silence was regularly broken by the sound of big fat carp climbing out of the water reaching for the moon. It felt like I had hardly slept when my left hander received a steady take at 3am. It was so mild I had stripped down and found myself stood there in my boxer shorts doing battle with and angry carp. Bart had heard the commotion and came round to lend a hand. The fish had weed me up and I passed him the rod as I got dressed and slipped into my waders. At this point the fish was up on the top about 4 rod lengths out and Bart claimed "it's only a double". As it approached the net I thought it looked a fair bit bigger than a double but it wasn't until I went to lift the net that I realised it was a fair bit bigger than we both had first though. The needle on the Reuben's didn't hang around as it flew past the 40Lb mark and settled on 40Lb 6oz. Bart done a cracking job with the camera and with the aid of a Rhino beam, he was able to take some incredible shots. We were both buzzing and neither of us went back to sleep. We sat there admiring the sunrise before packing up and heading to work. We had less than a couple of hours sleep that night but I never would have known it as I was absolutely buzzing at work all day. A somewhat right result made even more satisfying bagging a chunk on a short session along side my best mate.